Enter the total value of your portfolio in all accounts: brokerage, IRA, SEP IRA, 401K, 403B, Etc. Note: Loans, bonds, futures, options total values should be included. Enter the total value of any gold or silver owned and stored for value appreciation. Exclude jewelry for personal use. Enter the total net value of your business, i.e. (Assets - Liabilities). Your accountant can provide this information. Enter the total value of all real estate owned (lands, houses, etc. ), Exclude your primary home where you live. Enter the amount of net (after-tax) salary and bonuses earned in the past 12 months. Have you included all Assets and Income? 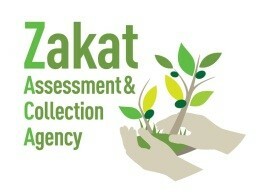 Annual Family expenses are exempt from Zakat. Please select the number of family members that live in your household to reduce your Zakatable amount. Please enter a number less than or equal to .025.